Nancy is one of those rare people who sees the big picture but also digs into the detail. The daughter of a small business owner and inventor, she was encouraged to be creative at a young age. Her mission is to help others accomplish their goals and each new client is like an adventure for her, enabling her to learn more about that industry and the organization’s culture. I’m fascinated by what makes people tick and why they do the things they do. Our business is all about giving people what they need to act in ways you want them to, which happens to be what they wanted to do anyway. I’m most proud when people contact us and say they have been referred to our group by more than one person. Kentucky Blood Center needed to raise millions for a new building but a feasibility study told them they didn’t have a strong enough presence in the region to meet their goal. They turned to us for a multi-level awareness campaign. Within the year they exceeded their fundraising goal and broke previous blood donation records. I like to put myself in my client’s position and think about what would help them the most. As someone who spent a third of my career working in-house, I understand many of the challenges they face every day. That helps me anticipate their needs so I can better serve them. In your opinion, what makes a great brand? Consistency is key. Products must live up to what you are saying about them or nothing you do or say will ring true. I most admire patience and selflessness. I have some of one and little of the other. I’d love people to realize that usually in business it is worse to under communicate than to over communicate and that a balance is the ideal. My family owned a silk-screen printing business. The many hours I spent in that entrepreneurial environment (and an endless supply of paint) helped spark my creativity and understanding of what it takes to be successful. What are three books relating to what you do that you would recommend? Thinker Toys; Made to Stick; Start with Why. Walk and play with my chocolate Lab, Ellie; watch soccer (my husband is a high school coach); read; and spend time with family in Kentucky, West Virginia, Florida and Mexico. Nancy is most in her element when analyzing, developing or managing strategic communication programs and counseling top executives. She also thrives on the creative process. Clients have included a range of businesses and non-profits, such as Central Baptist Hospital, Centene Corporation, Clemson University, Community Ventures, Kentucky Medical Association, Lexmark, the City of Nicholasville, R. J. Corman Railroad Group, Rockcastle Regional Hospital, Texas Gas, Ashland Inc., and The Center for Rural Development. Prior to establishing Wiser Strategies, she co-founded Wiser, Hemlepp & Associates. She previously was vice president of The Preston Group and managed some of the firm’s larger accounts. Nancy served as director of public relations and marketing for Cardinal Hill Rehabilitation Hospital, where she set a record for the annual telethon’s fund drive. Nancy is accredited in public relations and a member of the prestigious College of Fellows in the Public Relations Society of America. She’s the youngest member inducted into the Thoroughbred Chapter’s Hall of Fame. She has played a leadership role at every level of the international organization. 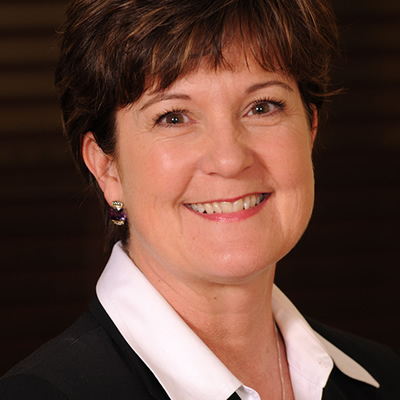 Nancy serves on Commerce Lexington’ Public Policy Council and is a past member of its Board of Directors and is past chair of several board committees. She is a graduate of Leadership Lexington and a member and past-president of the Lexington Forum. She also has served on the Kentucky Blood Center, High Street YMCA, Bluegrass Tomorrow boards and EKU Department of Communication’s Advisory Board. Nancy earned a master’s degree in communication from the University of Kentucky and an undergraduate degree from EKU. She has been a visiting instructor with UK’s Integrated Strategic Communication program and EKU, teaching courses in media relations, writing, and public relations cases. She has presented nationally and regionally on such topics as issue management, media relations, customer satisfaction, and research.